As the City of Newton puts together a bold Climate Action Plan to reduce its greenhouse gas emissions, Green Newton, a non-profit organization with over 28 years of local environment action, education and advocacy expertise, is calling for the City, and all governments, to adopt green principles to evaluate and guide building projects. ZeroEnergy Design is proud to have our Parker Positive, Linnaean Apartments, and Newton Net Zero projects included in Green Newton’s case studies for green building practices. The Parker Positive design includes three net positive energy buildings to house eight families. Targeting USGBC LEED Platinum certification, the buildings have green features such as photovoltaic systems to charge the homeowners’ electric cars, on-site composting, and rainwater catchment and reuse. Linnaean Apartments contain 20 units of elderly/disabled efficiency dwelling units in a low-rise building originally constructed in 1962. The project goal is a full envelope and systems update to achieve a deep energy retrofit with improved occupant comfort, low operating costs, healthier indoor air quality, long-term durability with low maintenance, and zero on-site fossil fuel use. 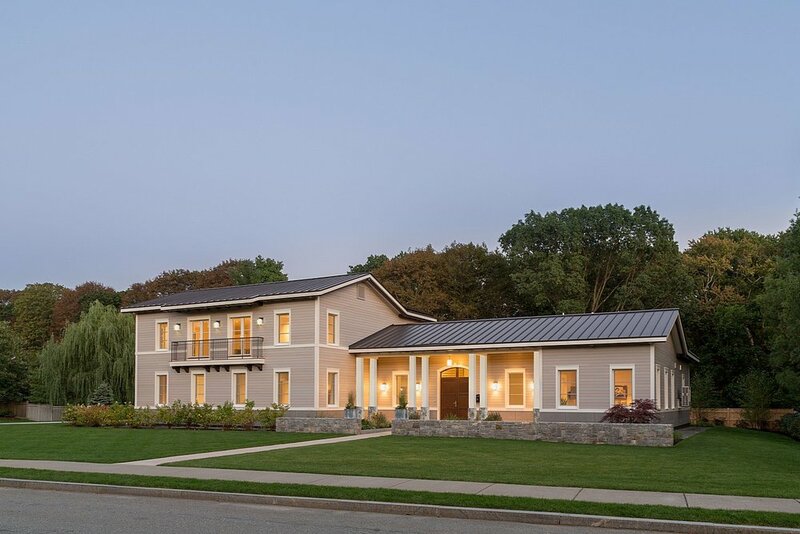 The Newton Net Zero project in Newton is a high-performance single family home with exceptional air sealing to reduce heat loss, high-efficiency appliances, and a solar photovoltaic system that produces more than enough energy to offset the annual consumption. Green Newton’s programs and advocacy are aimed at building awareness, providing opportunities for public dialogue, and educating and empowering citizens to take personal and civic action to protect the environment. Its members and volunteers work towards creating sustainable solutions to environmental problems facing the city of Newton and the world, often in collaboration with the local government and schools, and with other non-profits across Massachusetts.